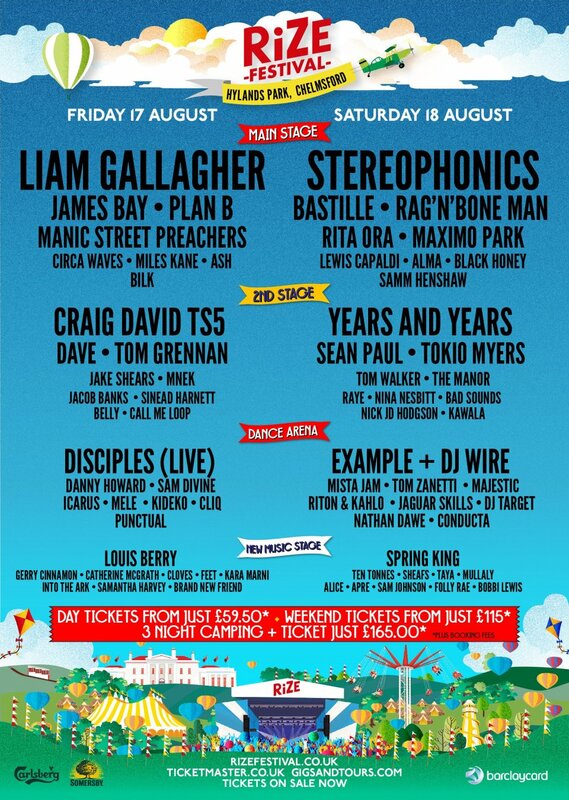 Liam Gallagher and Stereophonics will headline the brand new RiZE Festival which will take place at the iconic Hylands Park in Chelmsford on Friday 17th and Saturday 18th August 2018. Liam Gallagher will headline the main stage on Friday night. Releasing one of the biggest albums of 2017 ‘As You Were’, the album debuted at number one in the UK, outselling the rest of the top 10 of the UK Albums Chart combined and achieving gold certification in its first week. 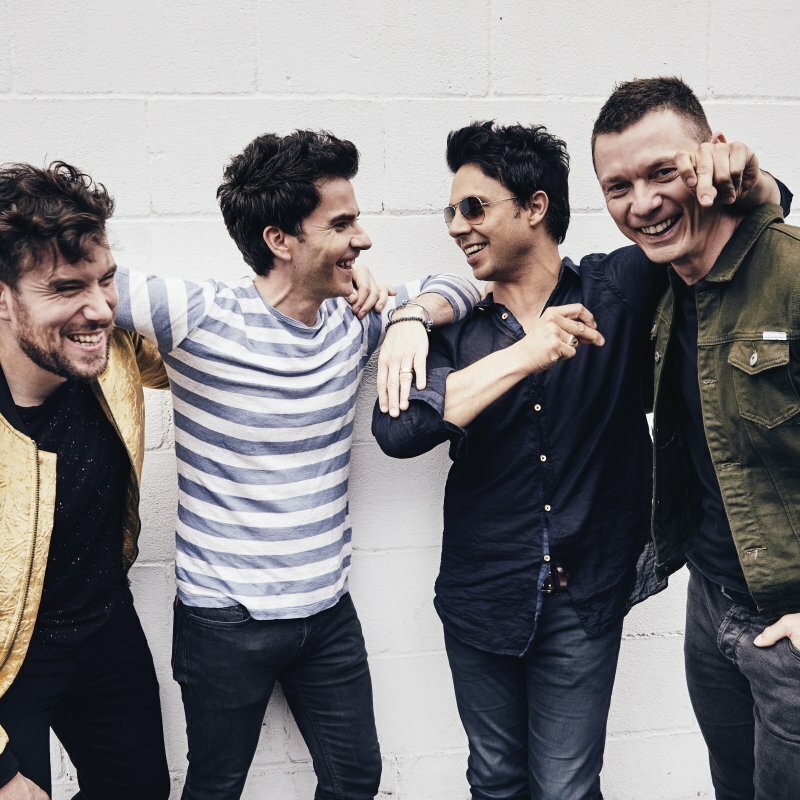 One of Britain’s best live bands Stereophonics will make their festival return this summer headlining RiZE Festival, TRNSMT festival in Scotland and two huge stadium shows in Wales. The band are currently on a massive UK tour throughout February/March in support of their recently released gold album, ‘Scream Above The Sounds’, which is their tenth studio album and comes as the band celebrate twenty years since their debut. The brand new outdoor festival also features highly acclaimed live artists from Platinum debut record, singer-songwriter James Bay, iconic national treasures Manic Street Preachers, indie pop idols Circa Waves, Grammy award-nominated rock group Bastille, British alt.rock veterans Maxïmo Park as well as Craig David’s world famous TS5 show. Also performing are major UK artists Years & Years, Plan B, Rag’n’Bone Man, Dave, Rita Ora, Example & DJ Wire, Tokio Myers, MNEK, Disciples, Sinead Harnett and The Manor. Some of the hottest emerging talent joining the bill are Lewis Capaldi, Tom Grennan, Raye, Tom Walker, Nina Nesbitt plus Jacob Banks. Sean Paul has announced that he will be joining the line-up for the first ever RiZE Festival in Chelmsford this August. Performing on the Saturday, this dancehall legend, Grammy Award winner and much loved hit maker extraordinaire is a remarkable addition to the line-up. His performance at RiZE Festival will be one of his only UK appearances this year, guaranteeing a show that’s not to be missed! RiZE Festival has also confirmed that additional artists joining this already incredible line-up across 4 stages including a Dance Arena and a New Music Stage are; Ash, Bilk, Alma, Black Honey, Sam Henshaw, Jake Shears, Belly, Call Me Loop, Bad Sounds, Nick J.D Hodgson, Kawala, Danny Howard, Sam Divine, Icarus, Mele, Kideko, Cliq, Punctual, Mista Jam, Tom Zanetti, Majestic, Riton & Kahlo, Jaguar Skills, DJ Target, Nathan Dawe, Conducta, Louis Berry, Gerry Cinnamon, Catherine McGrath, Cloves, Feet, Kara Marni, Into The Ark, Samantha Harvey, Brand New Friend, Spring King, Ten Tonnes, Sheafs, Taya, Mullaly, Alice, Apre, Sam Johnson, Folly Rae and Bobii Lewis.